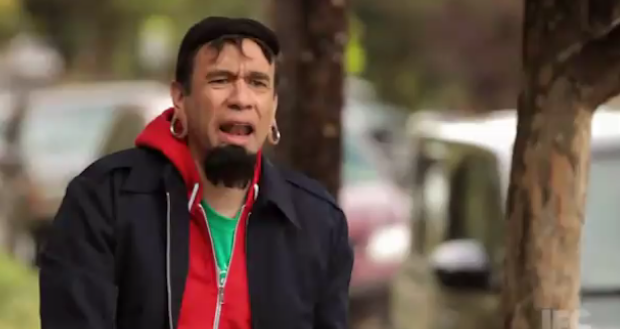 A lot of the talk surrounding SXSW this year has reminded me of one of my favorite skits from IFC’s show Portlandia. It starts off with a guy peering into the window of a bar and telling the locals inside how much he loves the place. The next day, he comes back to the same bar and sees some new guy in a buttoned-up shirt sitting there. “Aw come on — a guy like that is hanging out here? This bar is over,” he declares. Likewise, SXSW is over. Or is it? Depending on what you read or who you talk to, this was definitely the year that SXSW jumped the shark. In fact, I think we even declared it over before it even began. What was once a conference that was hip, now attracts the guy in the buttoned-up shirt — therefore, it’s over. The truth is that this is at least the third or fourth year in a row that someone has declared the conference to be “over.” But a funny thing keeps happening each subsequent year: SXSW keeps getting bigger. And even those that declare it over keep going back. And that has led to my favorite kind of backlash: backlash against backlash. A number of posts over the past few days have now declared that saying “SXSW is over”, is over. This was my fourth year in a row going to SXSW. I already outlined some of my initial thoughts about this year’s conference yesterday — and yes, they were pretty cynical. We’re now seeing a rush of data pointing to which of the group messaging services “won”. But those graphs, based on tweets and other transient forms of information, are a stretch at best. At worst, they’re simply promotional content for another breed of startups — the startups that track the chatter about startups on other startups. And that’s fitting because again, to me, there was no clear winner of anything at this year’s SXSW beyond the promotional stuff — and maybe the iPad 2. Believe me, I tried looking for more of a story than that. For that one big trend. I failed. But don’t mistake my cynical tone for a declaration of doom for SXSW. It might be “over” in the sense that I no longer get much out of it, but I’m no longer the key demographic. The truth is that the conference has simply evolved. And the conference organizers need to tap into that evolution. The fact of the matter is that SXSW is now far too large for it to be an insidery show where a handful of tech hipsters (the people who already hang out with each other in San Francisco or New York City all the time anyway) decide what’s “cool”. It is no longer the “spring break for geeks” that it once was. SXSW is now a full-on trade show. There were something like 20,000 attendees at just the interactive portion of the show this year. That’s supposedly bigger than the music and film aspects — combined. And that shouldn’t be too surprising given that SXSW makes most of its money from the interactive portion and all the sponsorships and pass sales that come along with it. This year simply showcased that more than ever. The overall conference atmosphere is now more akin to a CES or a Comic-Con. But this was an awkward growth year for SXSW because unlike those larger trade shows, there wasn’t a lot of actual news coming out of Austin. Even the majority of the startups that chose to launch there did so the week leading up to the conference. Instead, this year you had us writing about how insane the marketing was. And we were interviewing people in an attempt to try and squeeze something newsworthy out of them. It’s why the biggest story of the conference wasn’t actually a real story at all: Google’s “Circles” social network, which was rumored to launch but then was almost as quickly debunked. We were all looking for something. Anything. The model that worked when the conference had 1,000 attendees is now stretched far too thin. Dozens of panels were added over all different parts of Austin because the enormous convention center isn’t quite enormous enough anymore. And instead of everyone staying at the Hilton or the Courtyard Marriott, many people were shacked up in places that were more than a drunken stumble away — in some cases miles away. Everything just felt fragmented — including the apps that did try to launch there. There was simply too much going on for what was initially conceived as a smaller show. This year was like watching a mouse trying to give birth to an elephant. 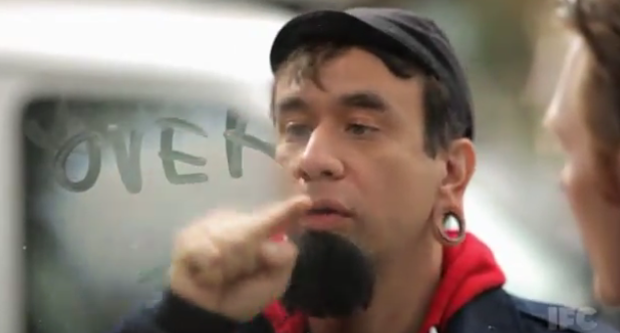 But then again, some people loved this new SXSW with 30 percent more of everything. I spoke with a number of attendees who couldn’t have been happier with the experience they had. The main takeaway there? The networking. Because there are so many like-minded people from all over the world hanging out in one city, connections were fast and furious. Oh, and the drinking was better than ever before. Last year, the economic downturn seemed to directly affect the beer taps in Austin. This year, the beer flowed like wine. But all of this doesn’t really speak to the conference itself, just the surrounding ecosystem. In an ecosystem, bigger is often better. But from a conference perspective, that’s not always the case. Sometimes bigger is just bigger. Maybe the takeaway is that people should just show up in Austin next year and not even go to the actual conference. After all, that’s what many people do for the music part of it. Or maybe SXSW should branch out to other cities at other times of the year — though, admittedly, the name would be pretty silly then. SXSW-W, anyone? Or maybe SXSW should change nothing at all. The current model is still clearly working for them. I’m sure this was the biggest money-making year yet. And I’m also sure that all of us who are now saying it is “over” will be back again next year — and back complaining about it being “over”.